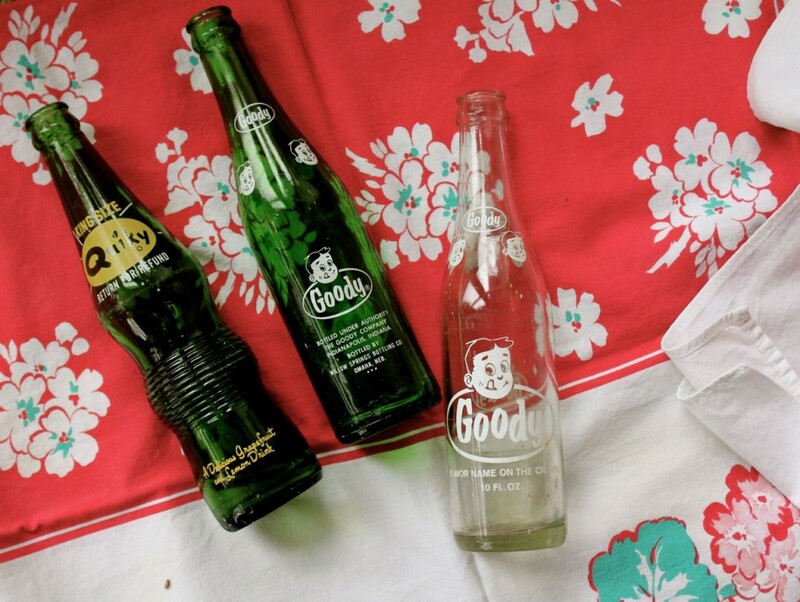 These lovely old soda bottles are chunky-heavy and feel so good in your hand, and have cute vintage designs on them, to boot! They provide a bit of delight every time you reach for one. They make me happy, and with any luck, they’ll do the same thing for you, too! As a matter of fact, I started out using a wine bottle with a spout for my dishwashing liquid, but when I obtained a bunch of these pop bottles, I switched to them because they are lightweight and a much handier size (for my hands) than the wine bottles. I’ve got to admit, blushingly, that I feel all clever-vintage-savvy-shabby-chic every single time I reach for one of these cute bottles. I love saving something this sweet from the landfill, too, don’t you? 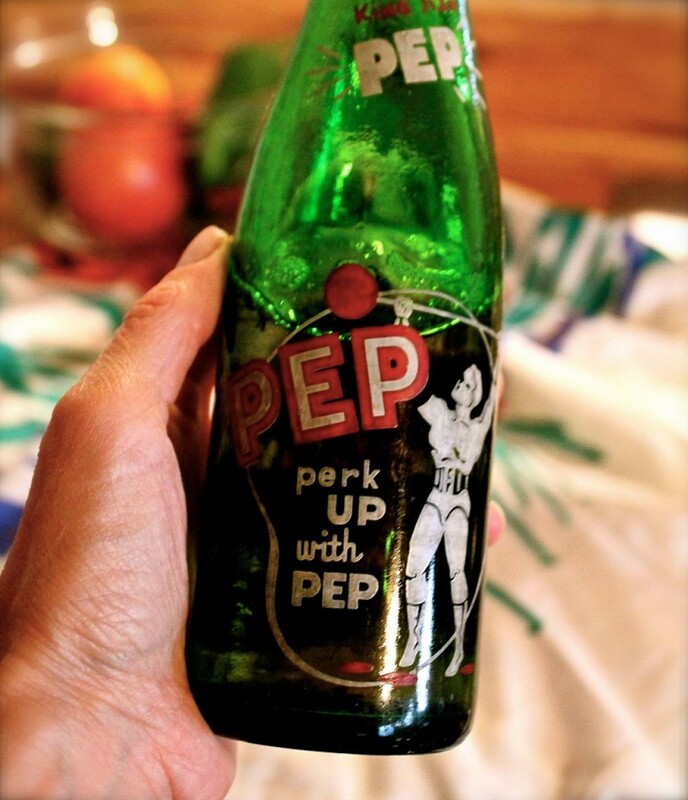 The graphics on these old soda pop bottles couldn’t be cuter! Every bottle is unique, and I have lots of different styles. 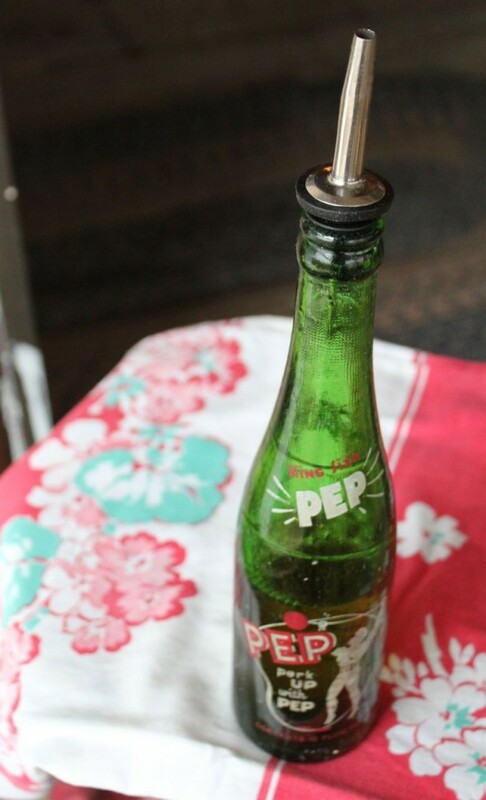 Each bottle comes with a spout that has been individually fitted to the particular bottle, and is ready to fill. 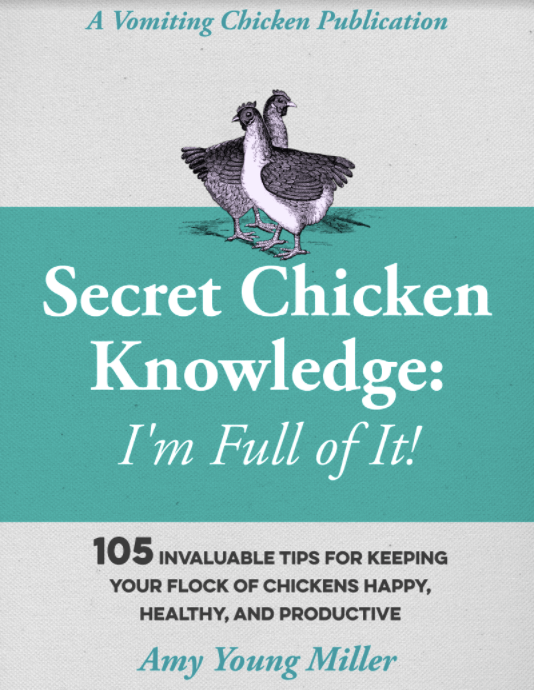 Quantities are limited, of course! They don’t make bottles like these any longer. Évidemment. Care instructions: use a small bottle brush to scrub out the bottle and dry upside down, when necessary.